Once agreed, your fee will be fixed for three years as long as your business model stays the same. All clients will have a dedicated member of staff who will be up to date with their affairs. You will always know whom you will speak to when you call the office. We call in work when there is a free time slot to ensure that we meet our aim, to turn round accountancy jobs within four weeks of all information to prepare them being received. 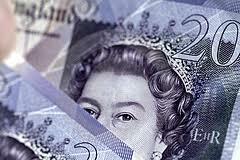 Refer a friend and once they pay their first bill receive 20% off of your next bill, up to a maximum of £200.00. Refer additional friends to save on future fees.